With 1 Bedroom, 1 Bathroom, Sleeps 2. 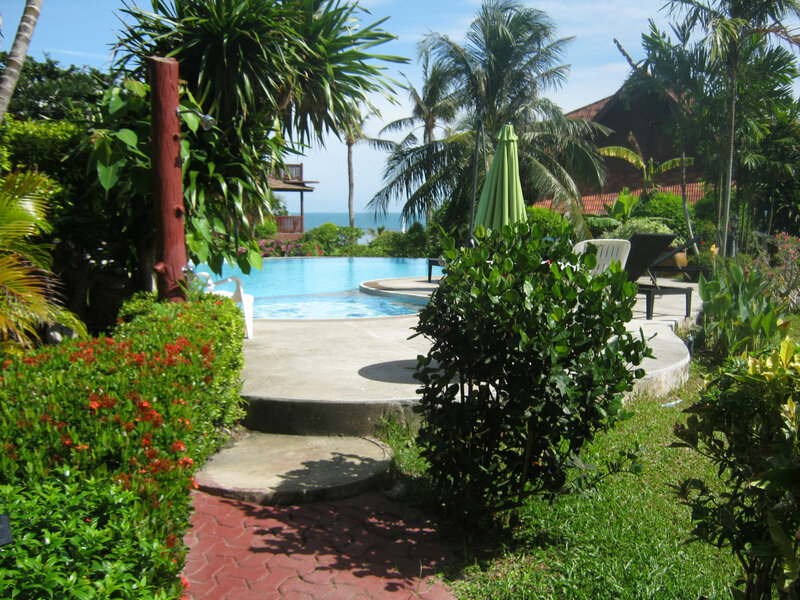 Spacious ground floor beachside apartment in mature and well maintained tropical garden with excellent views. This property is the total ground floor area of a larger property on the 4th row of the development. 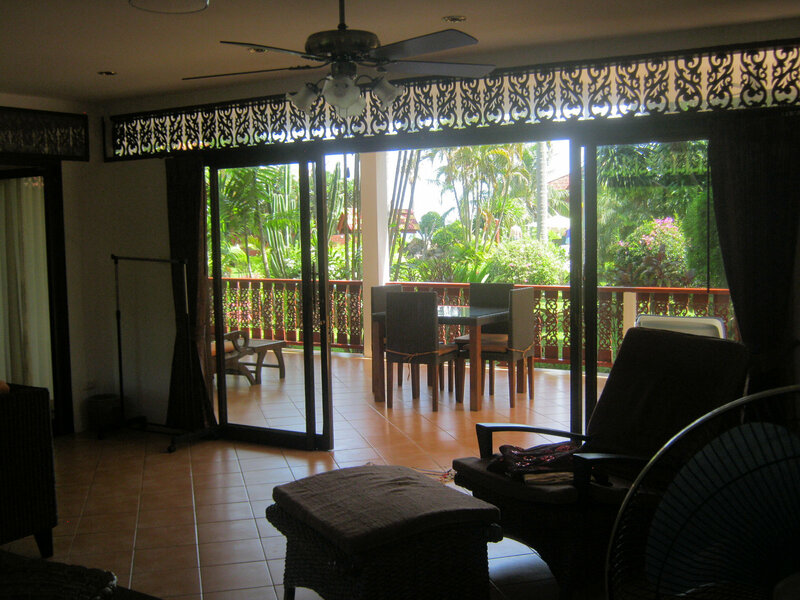 It is totally self contained and features a large covered terrace with ceiling fans. 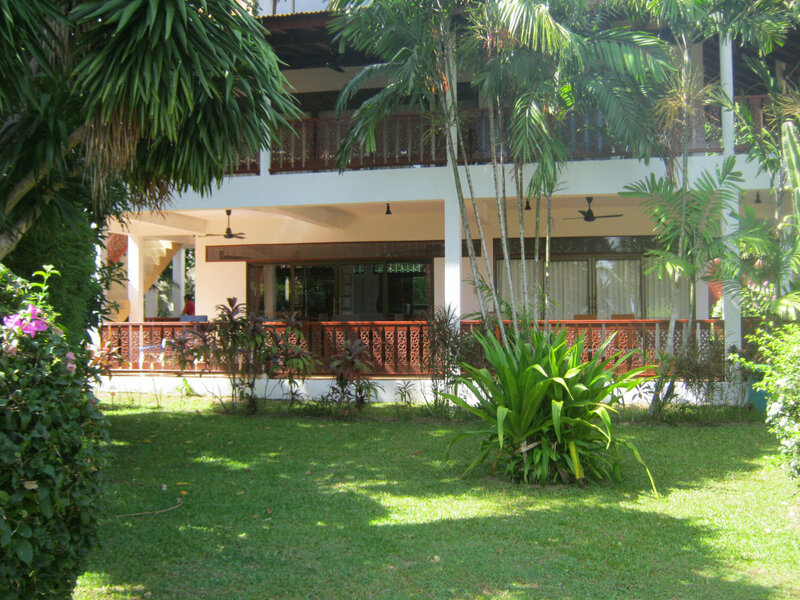 With spacious lounge, dining and kitchen areas, one double bedroom and one bathroom. The modern kitchen is well equipped and has microwave, coffee maker, large fridge-freezer, extensive supply of cooking utensils, crockery, cutlery and glassware. 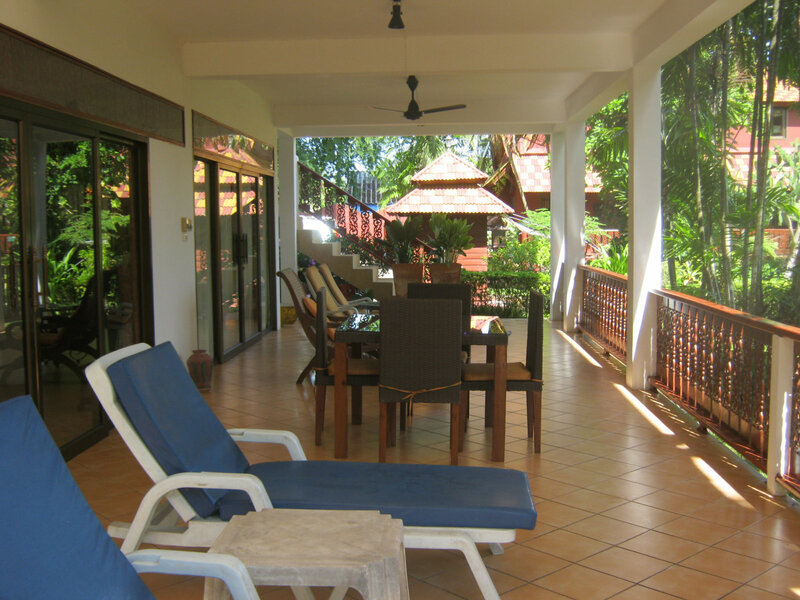 The apartment is very spacious and well equipped, furnished and maintained. There is a double bedroom with air coinditioning, ceiling fans, one bathroom and enjoys a large communal pool with covered terrace with marvelous views through the garden to the beach which is only 40 meters stroll through the garden. When the R10 Apartment and the R10 Villa are available together they can be rented, and along with the self contained upper villa as a 3 bedroom, 3 bathroom villa, sleeps 6 and provides complete privacy between the ground floor apartment and upper floors.